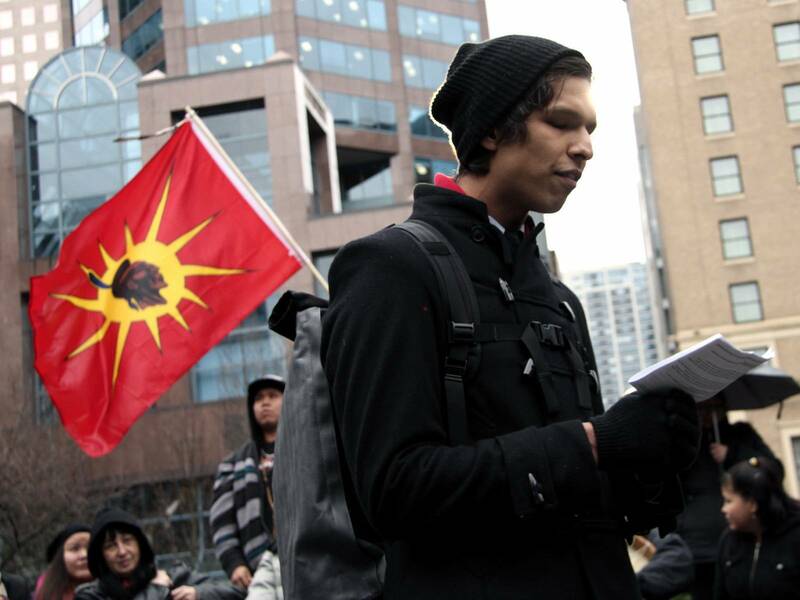 Photo: Idle No More protest, Vancouver, 2013. By Eyesplash - Summer was a blast, for 6 million view. 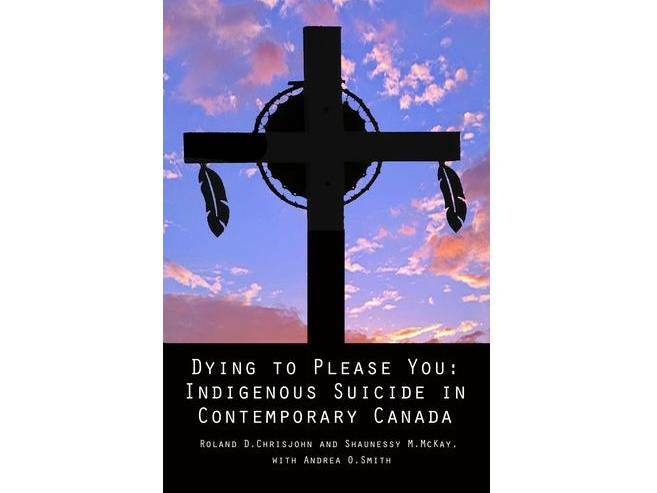 Their basic understanding of this situation, which they explore in their book Dying To Please You: Indigenous Suicide in Contemporary Canada, isn’t new. Federal government statistics show that the overall First Nations suicide rate was approximately two times the Canadian average in 2000, very similar to how it was two decades earlier. Some particular demographics fare worse: the suicide rate of First Nations youth (15–24 years) was five to seven times that of their non-Indigenous counterparts. Among the Inuit, rates of suicide are even higher. In the four Inuit regions of Canada (Nunatsiavut, Nunavik, Nunavut, and the Inuvialuit Settlement Region), suicide rates spanning 1999 to 2013 ranged from five to 25 times higher than those for the overall Canadian population. Again, rates among youth are even higher. As in the general Canadian population, suicide rates for Indigenous males are approximately three times as high as for females. There is less complete data for two-spirit and Indigenous LGBTQ+ people, but they do have higher rates than their cisgender and heterosexual Indigenous counterparts. Idle No More protest, Vancouver, 2012. The authors have had personal copies to distribute since 2014, and also made an electronic version freely available online when the official publication was delayed three years. The book originally received only sparing media attention limited to alternative media outlets, and almost none since its official release a year ago. There are many Indigenous initiatives in Canada to prevent suicide. On a national level is the organization We Matter. This was We Matter’s first foray into public policy advocacy, and they published a report on the experience. Whether the motion for a National Suicide Prevention Action Plan will receive majority parliamentary support is yet to be seen. However, Cindy Blackstock of the First Nations Child and Family Caring Society, which along with the Assembly of First Nations brought the case against the government, says that the $1.4 billion has not yet been provided and it is still too early to determine the government’s compliance with the tribunal’s ruling. For now, the tribunal continues to have jurisdiction over the case. Another potentially major step towards addressing factors related to Indigenous suicide is a private member’s motion from NDP MP Charlie Angus, who already works closely with Blackstock as well as chiefs and communities in Northern Ontario responding to suicide crises. That same month, Tanya Talaga, an award-winning Toronto Star investigative journalist and author of Seven Fallen Feathers, was awarded the Atkinson Fellowship in Public Policy for her proposal to examine suicide among Indigenous youth. She will present this work in this year’s CBC Massey Lectures in five Canadian cities this fall. If you need immediate support, you can find information on helplines and resources from We Matter (Indigenous), Kids Help Phone, the Canadian Association for Suicide Prevention, The Mighty (USA), or the International Association for Suicide Prevention. The author has made available a PDF based on this article for printing and educational use.